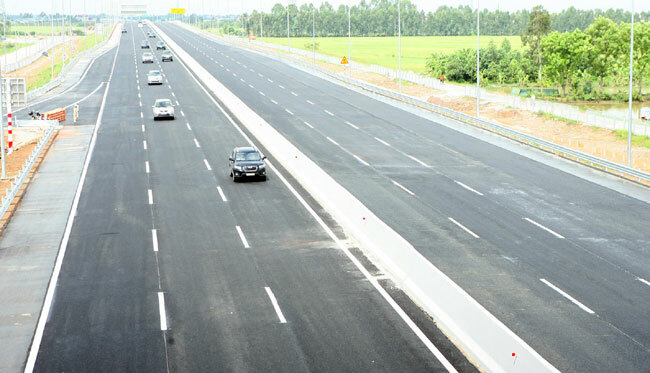 HUNG YEN (VNS) — Deputy Prime Minister Hoang Trung Hai attended a ceremony in the northern province of Hung Yen on Saturday to open a 52-kilometre section of the expressway linking Ha Noi and the northern port city of Hai Phong. The newest addition brings the total operating length of the Ha Noi-Hai Phong expressway to 75 kilometres. Addressing the ceremony, the Deputy PM said the expressway is an important transport axis between Ha Noi, Hai Phong and Ha Long City in Quang Ninh, linking the northern key economic region with the largest northern sea port. Together with other highways, the Ha Noi-Hai Phong expressway is designed to form a highway network that helps shorten the travel duration among localities, contributing to ensuring traffic safety and reducing transport costs, thus enhancing the competitiveness of the economy. He asked the Ministry of Transport and other relevant ministries and localities to effectively operate the expressway by closely monitoring overloaded vehicles and controlling traffic safety. He also urged investors and contractors to complete the remaining 30 kilometres of the expressway. Launched in 2008 under a build-operate-transfer agreement, the expressway has a total length of 105.5 kilometres with 6 lanes and an intended speed of 120 kilometres per hour. Invested by the Viet Nam Infrastructure Development and Finance Investment Co., JSC., (VIDIFI), the 33-metre-wide expressway has 54 bridges in total. The VIDIFI will start to collect a toll on a 52-kilometre section of the Ha Noi-Hai Phong Highway from the beginning of next month. The 52-kilometre section is from Ly Thuong Kiet Commune, Yen My District in the northern province of Hung Yen to Quang Trung Commune, An Lao District, in the northern port city of Hai Phong. Earlier in May, a 22.7-kilometre section of the highway, which is in Hai Phong City, was opened to traffic and collected fees.